The comparison with racism is pretty spot on. I have always resisted the hypocritical idea that negative social forces only count if they're against a group that is classified as oppressed. The same phenomena of myopic dogmatism exists all over the political spectrum. 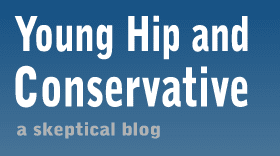 While "conservatives" are often seen as the dogmatists, and some certainly are, a rational and skeptical approach to reality is a sort of philosophical conservatism that results from the use of reason. It's the rejection of dogma. This is what I've begun to notice from ultra liberals and partisan people, they are just as dogmatic in their own worldview, unable to give any ground even if their opposition has the reasonable argument. Admitting that their is sexism towards men would, in their narrow minded reality, ruin everything they've worked for towards woman's rights. They have difficulty seeing the complexity of things and feel totally justified in their viewpoints because they've happened to land on the right sight of some progressive ideals.